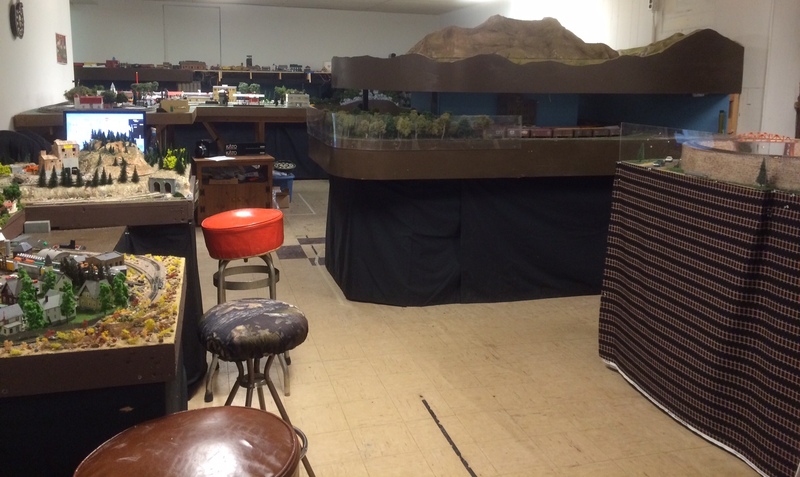 These are progress photos on various layouts in the museum, all under development. They will change as time goes on. 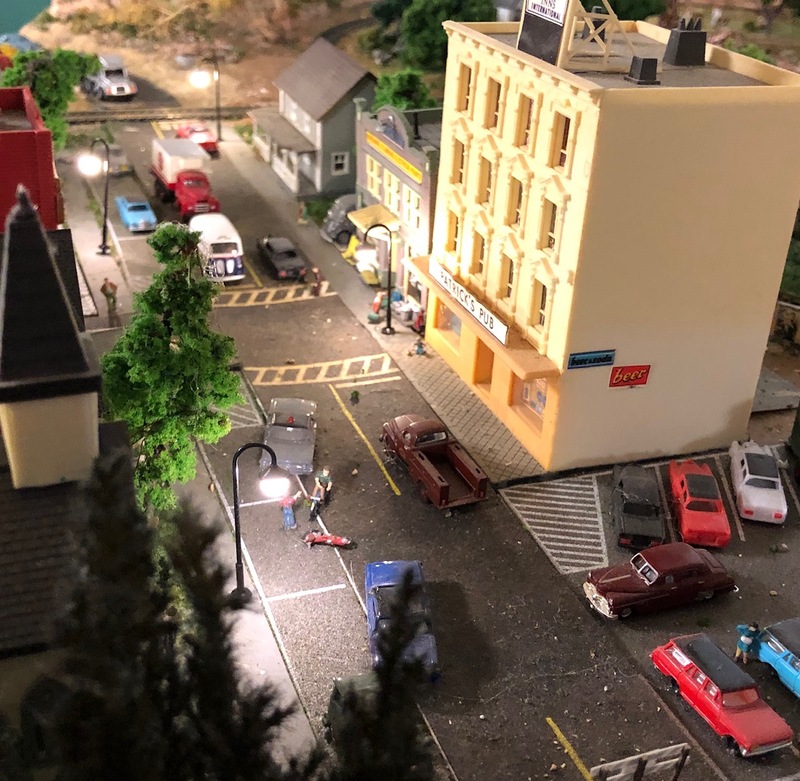 The west portion of the HO layout, with the lower level, at 41" basically complete and the upper level, set at 60" 16 months earlier there was nothing there..
An old brewery, salvaged from the original HO layout has found a new home. This was a kitbash, highly detailed and weathered with lots of lights. 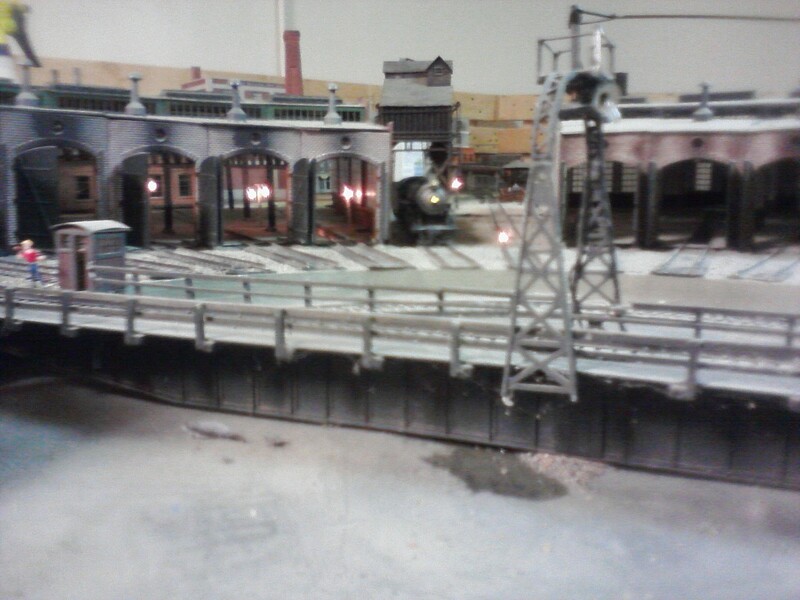 This is a view of an S scale layout measuring 8ft X 14ft in the scenery stage, but functional. This was a late addition to the original plan. 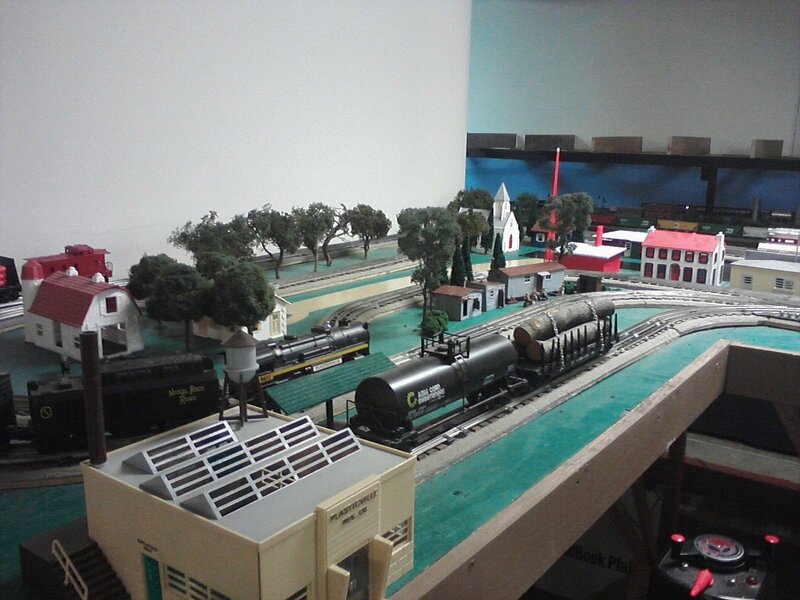 A small N scale layout, now complete. This was donated with nothing but track on a bare top and had not been wired. It's now fully functional. 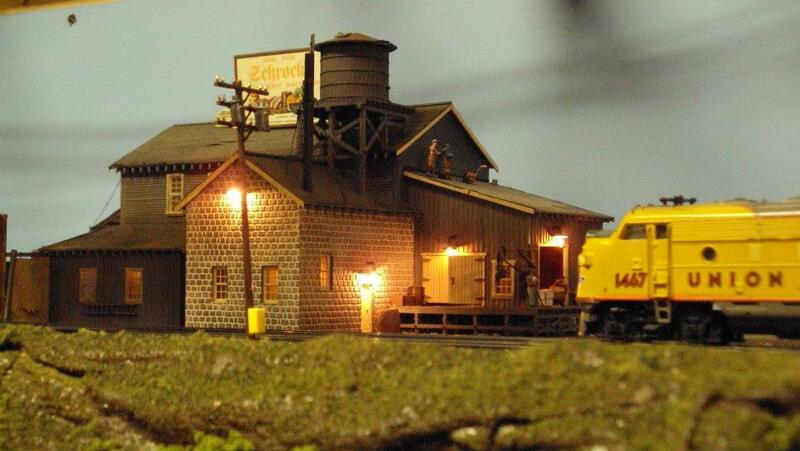 The East end of the HO layout, with a disguised staging yard on the lower level and a western mountain terrain on the upper level. With the helix pictured above, trains can travel between the two levels. 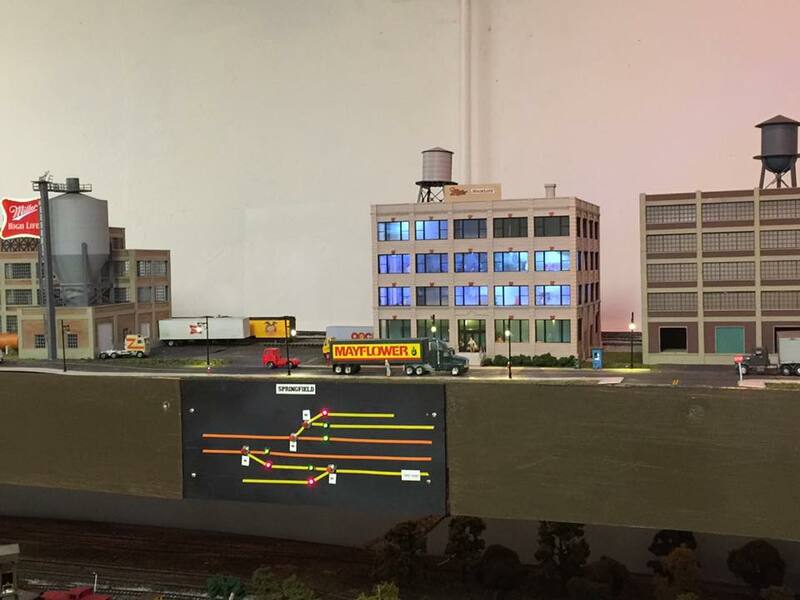 A replication of the Miller Brewing Plant in Milwaukee, complete with brew house, office building & pub, and a shipping and receiving facility. The control panel handles all the turnouts in the area.